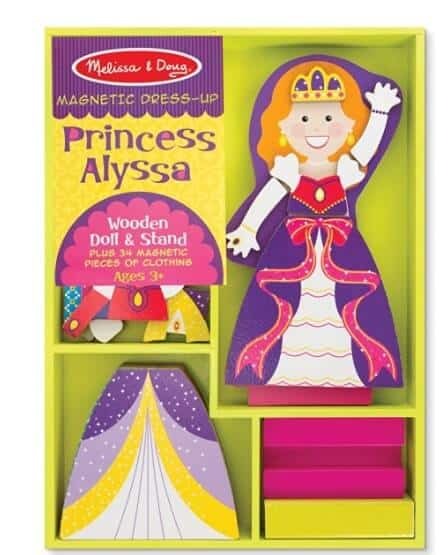 The Melissa & Doug Princess Alyssa – Magnetic Dress Up is on sale for $6.99 at Amazon right now. That's 46% off the list price of $12.99! This is an Amazon Add-On item and requires a $25+ order to ship. If you don't have a $25+ order today, add this item to you cart until you do so you don't forget it! Includes 1 wooden doll and stand, plus 34 magnetic pieces of clothing and accessories. Sort the matching pieces or mix and match to make your own creations! Promotes hand-eye coordination, creative expression, and imaginative play.